CHRISTMAS TREE Permits are no longer being authorized for 2018. On JBER-Elmendorf you must have a DoD ID card or be DoD ID card sponsored. You must have an iSportsman recreational permit AND must be signed into the correct Recreation Area in iSportsman. Family members and guests are not required to have a separate permit when accompanying permittee for tree cutting. You must first register in iSportsman and purchase a Recreation Permit. Only the person requesting the Christmas Tree Permit is required to have an iSportsman Permit. All accompanying guests are required to stay with the permitted recreator. Contact Charlene Johnson at charlene.johnson.3@us.af.mil ON/AFTER NOVEMBER 25 and provide your first and last name, iSportsman Recreation Permit number, and preferred email address. Requests before this date will not be accepted. Authorizations are completed during normal business hours and may take 1 to 2 days to complete. Authorizations are not completed on weekends or on federal holidays. You will receive an email confirmation when your authorization has been completed. You must Sign-In/Sign-Out for wood cutting, just like any other recreational activity on base. NOTE – When attempting to Sign-In, you will only be allowed to Sign-In to training areas that are currently open; if you don’t see your preferred training area on the sign-in page, it is NOT available. Upon Signing-Out from iSportsman, you must indicate whether you collected a Christmas tree that day (enter Quantity = 1). 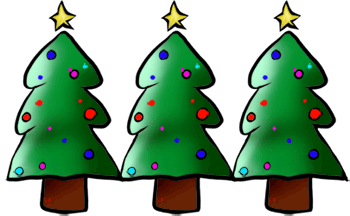 Christmas trees obtained from JBER may not be resold or bartered. Stumps must be cut to within 6 inches of the ground. Unused branches must be chopped and scattered. Inspect the trunk of your tree before you cut it. Make sure that it is free of damage from insects and appears healthy and green. Removing the tops of larger trees to use as a Christmas Tree may increase the risk of spreading dormant spruce bark beetles and is hazardous and unhealthy to our forests! Dispose of used Christmas Trees only in authorized areas! Do not dump dead trees back into the forest or training areas. Christmas tree cutting will take place only in designated areas on the maps below. The person whose name appears on the permit must be present at the time of harvest. Do not block vehicle access routes, trails, or roads. Use precautions using your chainsaw to prevent spills of gasoline and oil. All litter must be removed from the site.